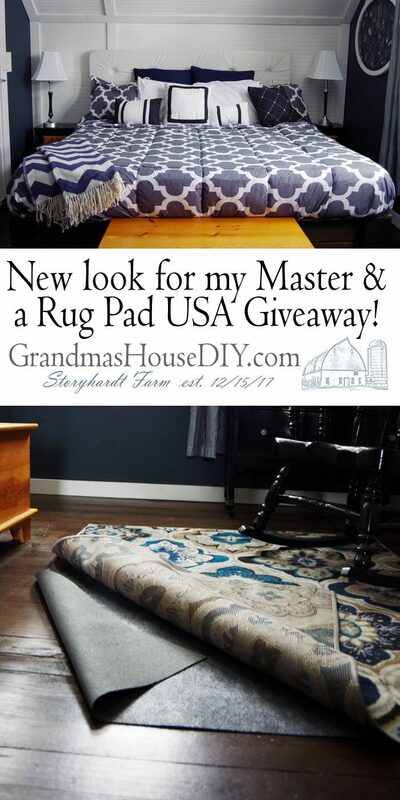 New look for my master bedroom and a RugPadUSA review and giveaway! 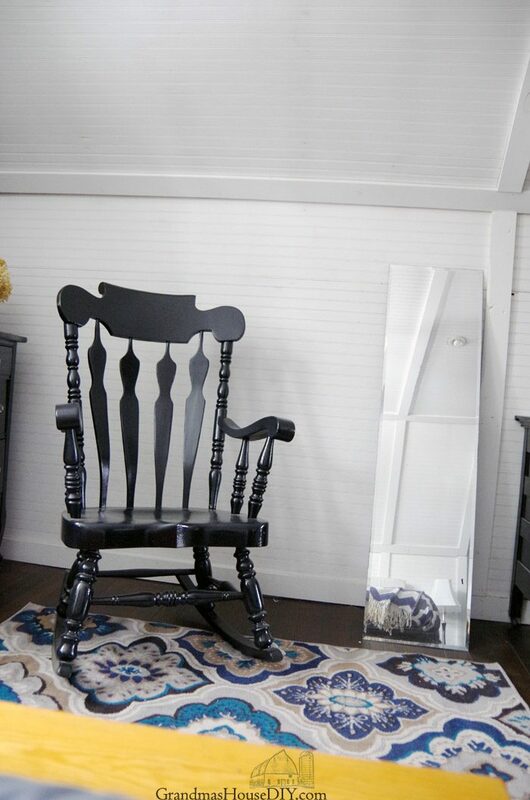 I drooled over this rug for MONTHS before I finally decided to spoil myself by buying it! 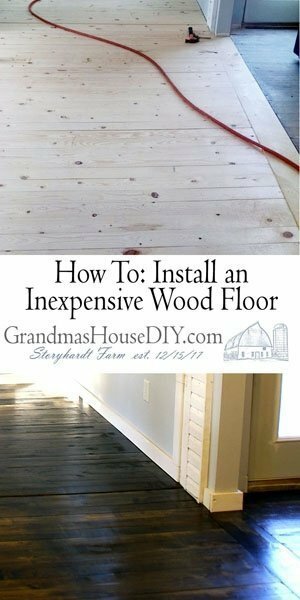 I lived with it without a rug pad for several weeks, putting off the purchase. But then Rug Pad USA contacted me and asked if I would like to do a review of one of their rug pads and it was perfect timing! (Thanks to everyone who participated the giveaway is now over!) 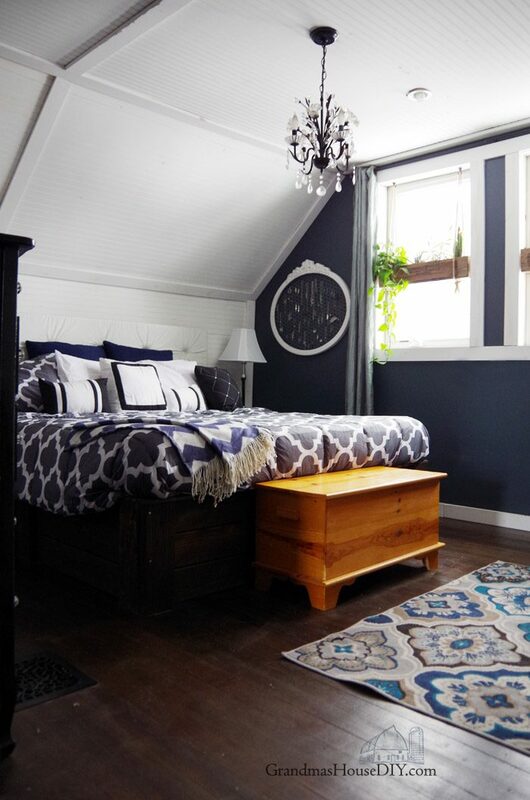 With a new rug, two “new” lamps and a new comforter it was WAY beyond time to share with you my newest refresh of my master bedroom! 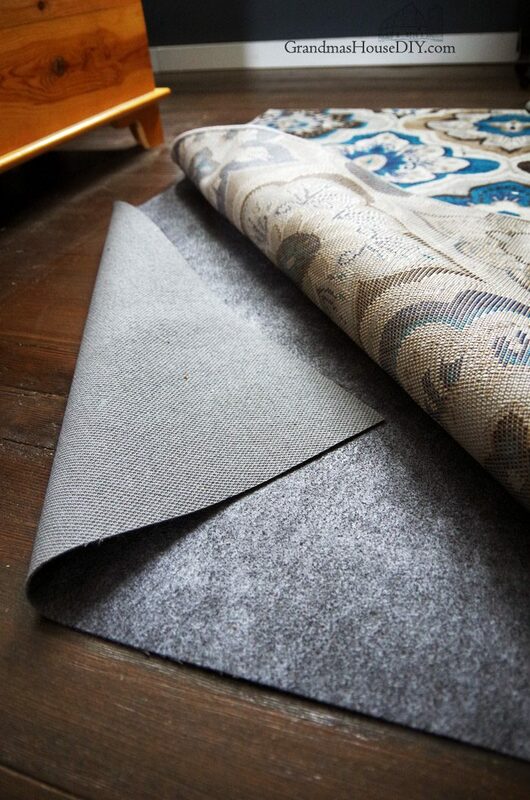 Rug Pad USA makes all of their pads in the USA and they offer some really impressive eco-friendly options. As you guys know I’m a real natural gal, I make all of my own cleaning products because I’m always working to keep chemicals OUT of my home so when I read about their options I got really excited! By some sort of miracle I have still managed to keep all of my plants alive in the hanging flower boxes I built last year and they’ve all gotten so big. I’m going to be adding even more plants with the addition of a few in my bathroom too. With how long our northern MN winters are I can tell you that they really do help with the winter blues. Thanks so much for everyone who participated in the giveaway! 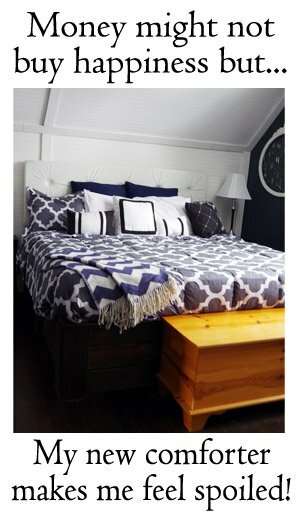 Thank you Susan, yup I am TOTALLY in love with my new comforter! Thanks so much! Hey there, Oh my, you took dark and stark, and made it into PRETTY PRETTY!!! This room is so beautiful, just like YOU! What a wonderful “Re-Do”. I do love it so much… Now it fits with your guestroom, GOOD JOB, Sweetie…! 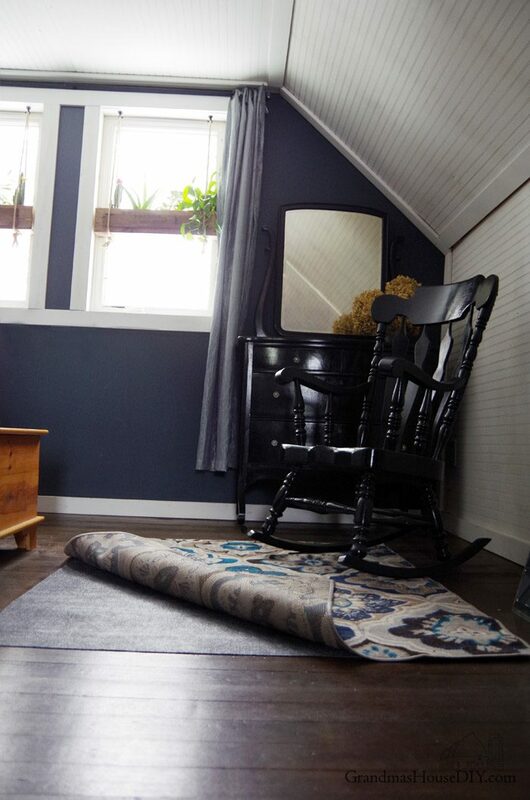 New rug looks great and there is nothing better than padding to keep things comfy. I also love your new comforter. Your master bedroom is beautiful. I really admire your bed. I am in love with farmhouses and you have done an exceptional job of decorating! It looks so beautiful and I would want to spend a ton of time in a room like that. You’re own personal escape! Way to go! Thank you Chas! There have been many a Sunday morning after getting this room done where I refuse to get out of bed for awhile! lol it’s just so wonderful and peaceful now! I love your rug, it’s so pretty! Thank you for joining The Really Crafty Link Party! Thank you so much, I’m so glad I purchased it! Thank you Tracy, have a great weekend! Wow I love your bedroom first of all. I am about to move to an apartment for a year that has all hard wood floors. Where I live now it is all carpet. I would love to win a mat! It looks like a good one! So glad to find this post at bloggers pit stop! Thanks so much Susuan, hope you had a wonderful weekend! Good luck in your new apartment! I need a rug pad for my bedroom rug too! It slips all over the place, especially when my dogs come racing into the room! Ha! 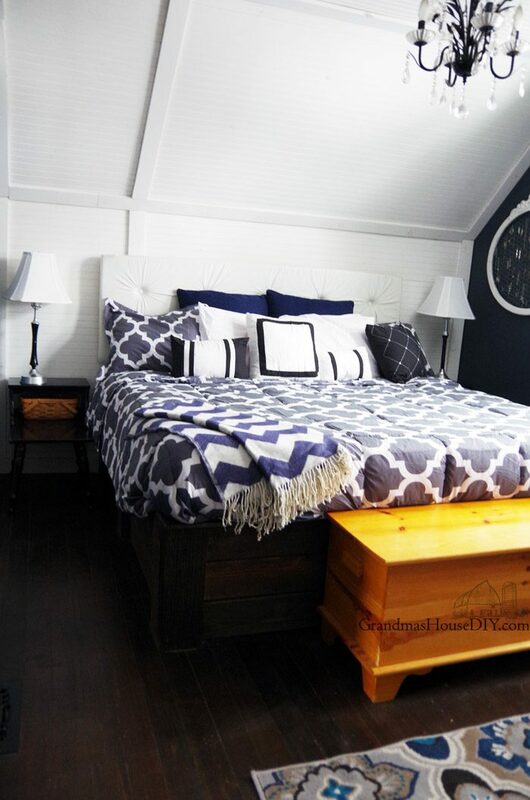 Love the bedroom color scheme! Thanks for coming by, hope you had a great weekend! 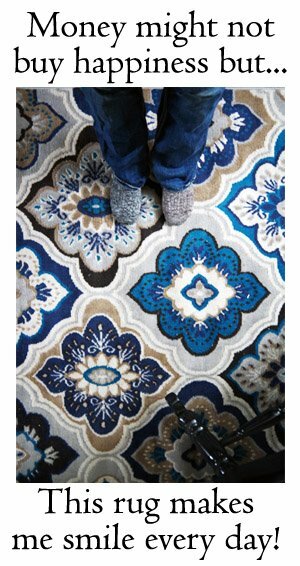 I did a review a few years ago and I love my rug pad! So soft to walk on!! Thanks for sharing with SYC. Thanks for coming by Jann, hope you had a good weekend! When you decide to change things to make them your own, you aren’t fooling around. 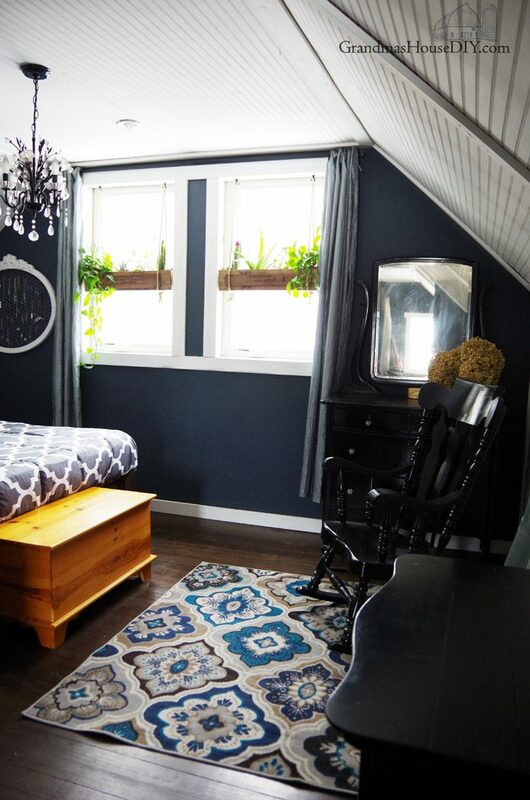 Your room is so cozy and so pretty with all your new goodies,no wonder you love your room. Nothing in it not to love, bed, rug and all. Now you can move forward in your life. You have much to be proud of girl. Thank you very much JaneEllen 🙂 Hope you had a wonderful weekend as well! Your new bedroom is lovely! I love your choice of paint color, comforter, and rug. Beautiful! Thank you for sharing with us on Party in Your PJ’s.